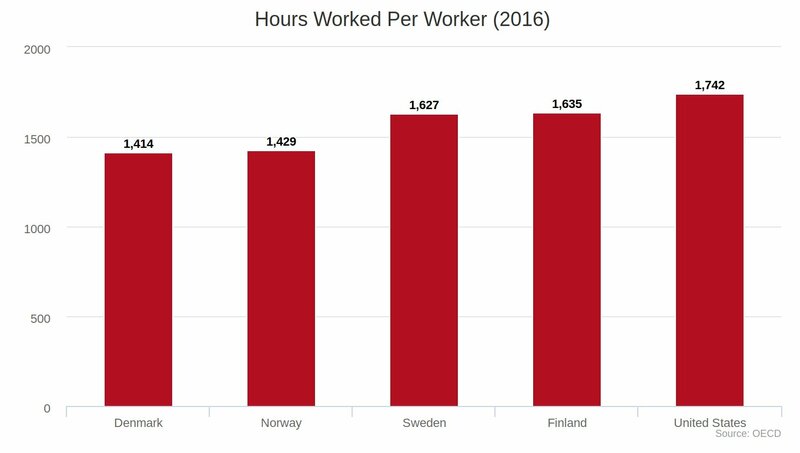 In most countries, rising productivity means fewer working hours: but US workers, among the world's most productive, put longer hours than other rich-country workers, especially nordic workers -- if America's productivity/hours curve worked like it does in Denmark and Norway, American workers would get an additional 2.2 months of vacation every year. But America doesn't get much for all that extra work: compared to Nordic countries, the USA has "wild levels of inequality, poverty, and absolute material deprivation." It's just another way in which America is the world's first rich poor country.